Known by his colleagues as a jack-of-all-trades, David is as much of a music devotee as he is a vocalist. He graduated from the University of North Texas with a bachelor’s degree in Music Education/Vocal Performance and has since become involved in other aspects of music as well. Since moving to Austin, he has been busy arranging and recording in various music projects as well as designing in the Austin and online community. He performs with the Texas Early Music Project, the Schola Cantorum of St. Mary Cathedral, Conspirare, and the Texas Choral Consort, and is a frequent guest performer with other local groups. 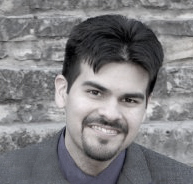 Formerly a voice teacher for the Austin ISD, David is currently at the University of Texas in Project Management & Construction Services as a data analyst in the Director’s Office.